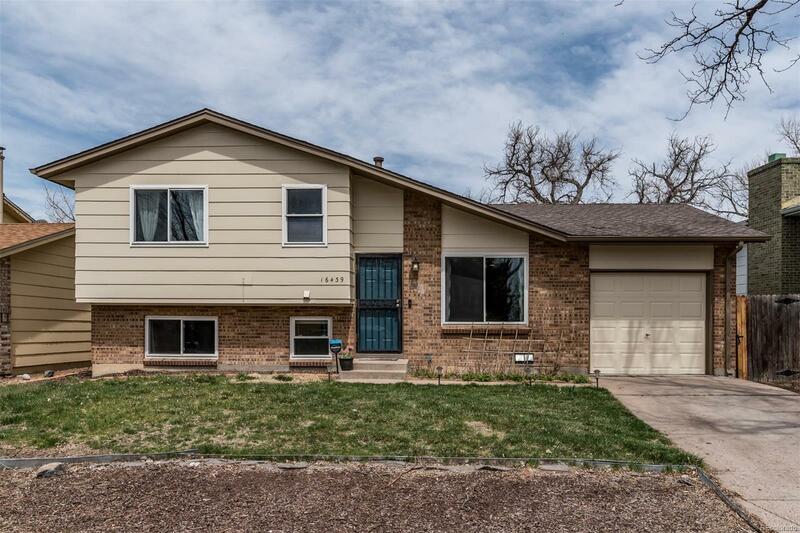 Incredible location backing to the Sand Creek Regional Greenway and minutes from the Anschutz Medical Campus. Newly remodeled gourmet kitchen on open plan main floor features large island with quartz countertops, modern cabinetry, subway tile backsplash, and wood grain tile flooring. Large 2nd floor Master with closet built-ins overlooks the nature preserve. Lower level offers a spacious family room, 3rd bedroom or office, 3/4 newly remodeled bathroom and separate laundry room. Other upgrades include: Central A/C, designer window coverings, newer hot water heater (2016), and all windows have been replaced. All appliances included, plus newer smart washer and dryer. Grill, relax, and entertain friends and family in the private, low maintenance backyard overlooking the open space and complete with fruit trees along the back fence. Walk the High Line Canal Trail and visit the new Norfolk Glen Park. Easy access to shopping/restaurants, light rail and highways I-70/225.